Did Lamborghini's adoptive German parents make it too complicated? Let’s be honest, we all have a special place for Chris Harris in our hearts. He’s relatable enough to carry what’s left of the Top Gear franchise on his back and unlike the show’s previous three rambunctious presenters, he has enough skill behind the wheel to make it so that the Stig isn’t the only one responsible for those cool shots involving a six-figure supercar going sideways. It’s why the man has the final say for many enthusiasts when it comes to vetting performance machines for integrity. 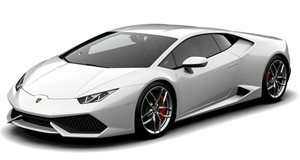 Even supercars with as much clout as the Lamborghini Huracan Performante. With its 5.2-liter V10 tweaked to the limit so it can make 630 horsepower and 443 lb-ft of torque, there’s always the chance that Lamborghini messed it up by adding complicated ALA systems or too much focus on handling to make it any good as a grand tourer. The problem is that Harris comes into this review with bias. He’s not much of a fan of the regular Huracan at all thanks to over complication—a symptom of Lamborghini being adopted by German parents. So how does the man feel about a complicated car gaining more complication? From what we can gather, he’s not too disappointed by the end result, especially with an engine that’s so well developed, but he can't get over the fact that the all-wheel drive system seems to induce slight understeer. While Harris can’t quite put down the power the way he wants to, he does feel that the Performante is the best car from Lamborghini in quite some time. Whew!